This post will complete our series on watchmen, sentries, and patrols in The Lord of the Rings and how confrontations with such figures may change the action. In our last, we’d gotten as far as Edoras and, within, Meduseld, with Hama, its doorwarden. 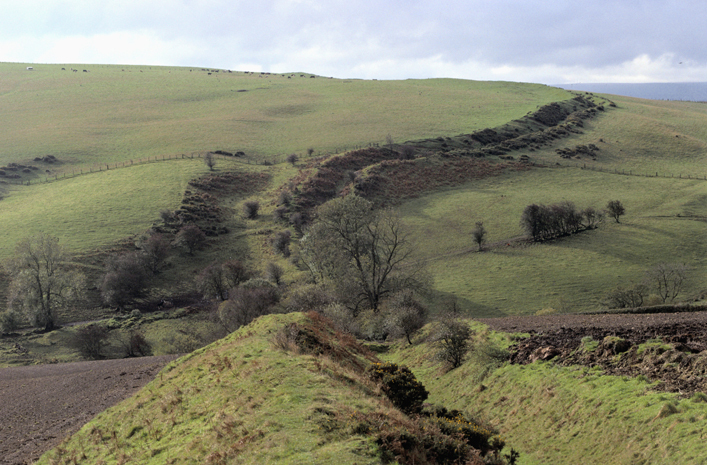 passing through the Rammas Echor, the old barrier wall protecting the fields of the Pelennor, where Gandalf talks with Ingold, who appears to be in charge of repairing a section of that wall fallen into disrepair. 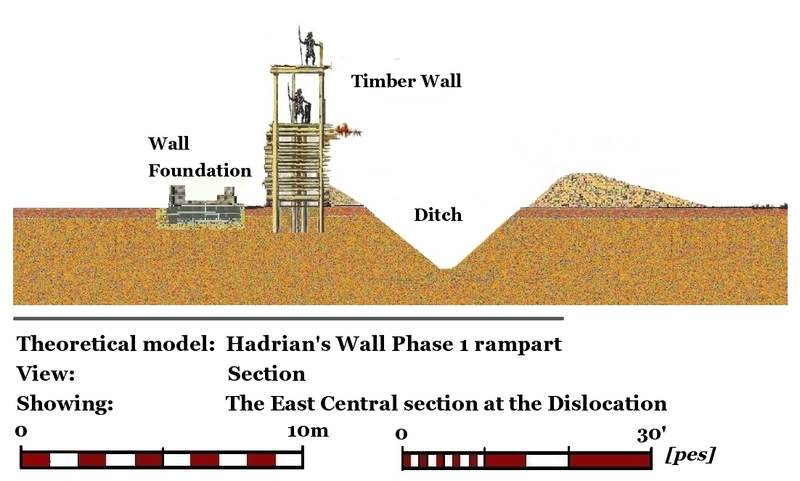 (See The Return of the King, Book Five, Chapter 1, “Minas Tirith”) We don’t have a illustration of this—although we think that it would make a good one—so, as we think of the Rammas Echor as a cousin of Hadrian’s wall, here’s an illustration of that wall under construction, just to give the idea. But we said we will follow Gandalf and Pippin. First, we have to double back to Isengard, where the Ents have wreaked justifiable havoc. It’s Merry and Pippin, of course, and, for Aragorn, Legolas, and Gimli, after their long, grim march across northern Rohan in search of their missing companions, only to have Eomer suggest that they’ve been killed with the orcs, this is certainly a change of mood, as well as a change of plot—not only are the two restored, but Pippin will help to rescue Faramir from his mad father and Merry will save Eowyn from the Nazgul. This was an image surprisingly difficult to find. Here’s a depiction (sort of) from the Jackson films. The helmet might be right, but the black surcoat is missing—here’s Pippin, also from the films, wearing one. We add to this an image by a Russian illustrator, Denis Gordeev. Here, the helmet may not be quite what we’d expect, but the rest of the ensemble works. Once he knows their purpose, Faramir lets them go—to much worse sentries. First, there are orc patrols, like those of Shagrat and Gorbag. ‘Aiya elenion ancalima!’ cried Frodo once again behind him. There are no more sentries, although the two hobbits will be passed by a small search party and will then be swept up into an orc marching company before being on their own on the way to Mount Doom, where we will leave them and this set of postings. Two postings ago, we were talking about woundings in The Lord of the Rings and thinking about the medical care there as compared with that available in what we always think of as the actual parallel medieval world. We had gotten as far as Boromir, who, we imagined, would have been beyond help, pierced as he was by multiple arrows. (We had also said that Boromir’s wounding reminded us of the death of the Macbeth figure in Kurosawa’s Throne of Blood, 1957. The next wounding is that of Faramir. In our medieval world, medicine was based upon a combination of beliefs, some of which even dated back to the Greco-Roman world. One major foundation block was the idea that the body was governed by four elements, called “humors”: black bile, yellow bile, phlegm, and blood. They determined personality and behavior, but, although they were natural to the body, they could be thrown out of balance and part of a medieval doctor’s job was to rebalance them. This rebalancing could include doses of all sorts of things—dangerous metals, like mercury, concoctions from various plants, some of which were helpful, some poisonous, and bleeding—based upon the idea that, by removing blood, you were helping rebalance the body’s natural humorous proportions. In the text, however, although Pippin suggests that Gandalf be consulted, Denethor dismisses the suggestion and Faramir is left to burn—before almost being literally consumed by fire along with his mad father. We will return to Faramir, but, first, we want to look at two more woundings, both occurring almost in the same moment: when Eowyn and Merry face the chief of the Nazgul. Eowyn and Merry (and Faramir) have been taken to “the Houses of Healing”, which, in our world, would be a hospital, something which, in our Middle Ages, would either have been part of a monastery/cloister, or were a private foundation, supported by charitable donations. Medical people there could certainly have set Eowyn’s broken arm, even sealing it in plaster to keep it immobile, but the Black Shadow would have been as difficult for them as for the healers in Minas Tirith. Comas were recognized in the Middle Ages, but there was little to be done: apparently, comatose people lose the swallowing function, which means that someone in that condition would die of dehydration, probably within a few days (speed of dehydration depends upon many factors, as well as the individual, but the longest we’ve seen is about 10 to 12 days). At this point, both medieval healers and those in Minas Tirith were stumped—until another factor was added. In fact, two. 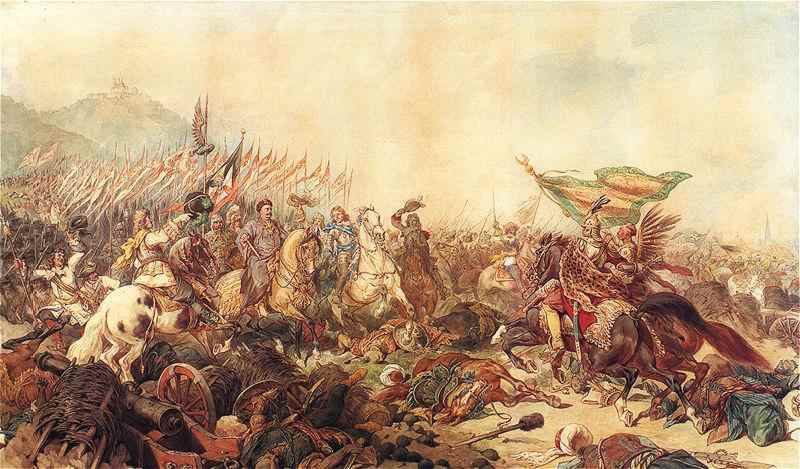 In a previous posting, we rolled our eyes verbally at a moment in P. Jackson’s The Return of the King in which Faramir, according to the script, was required to mount a double-rank cavalry charge against the west bank of Osgiliath. ‘I do so,’ said Denethor. ‘That depends on the manner of your return,’ said Denethor. 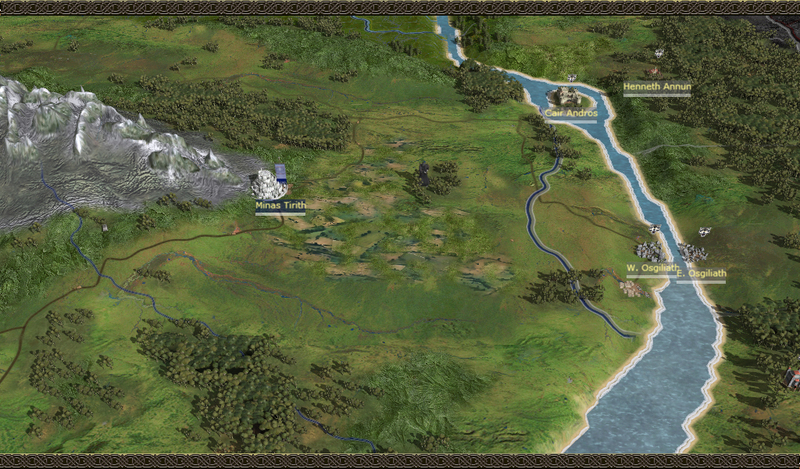 In an earlier posting, we have discussed the Rammas Echor, the wall which enclosed the farmland outside the walls of Minas Tirith. “The bells of day had scarcely rung out again, a mockery in the unlightened dark, when far away he [Pippin] saw fires spring up, across in the dim spaces where the walls of the Pelennor stood. ..Now ever and anon there was a red flash, and slowly through the heavy air dull rumbles could be heard. Unlike the silly—there’s really no other word for it—charge of P. Jackson—Faramir is a professional soldier, after all, much loved by his soldiers—we see what JRRT, having been a soldier himself, would have known was the military solution: a fighting retreat, led by a brave and capable leader. There are lots of examples of fighting retreats and we’ve picked two: a failure (Maiwand, Second Afghan War, 1880) and Le Cateau (The Great War, 1914). At Maiwand, 27 July, 1880, a British-Indian brigade of 3 infantry units plus two cavalry units and a battery (6 guns) of horse artillery, anywhere from 1500 to 2000 soldiers, faced perhaps 12,000 Afghans with 6 batteries of guns. 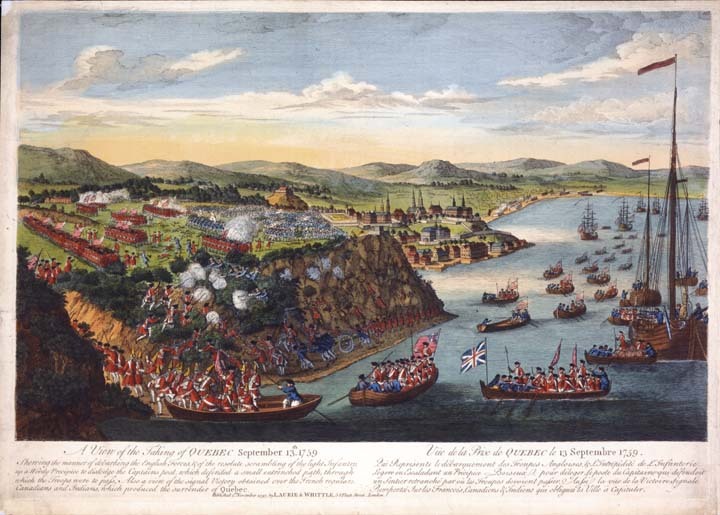 Basically, the British were outflanked and their left-hand units began to buckle under the pressure of the attacks and the number of attackers which they had to face. As they gave way, the right hand end of the line began to move backwards, feeling increasingly in danger of being surrounded, just as Faramir’s men must have. 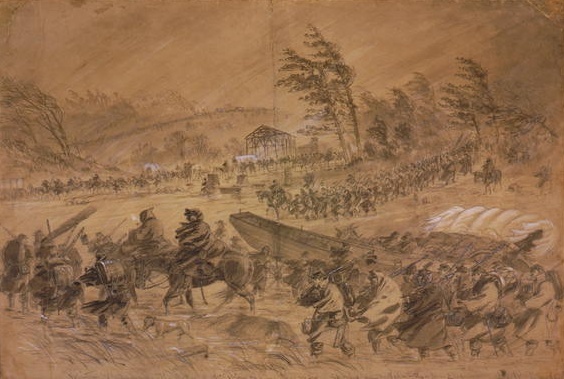 As the infantry retreated, the artillerymen used their guns to buy time for a general withdrawal, ending by losing a section (2 guns) to the enemy. There’s a famous painting of the withdrawal of the remaining guns by the late-Victorian artist, Richard Caton Woodville. At the end of the withdrawal from the battle, a small group of British soldiers of the 66th Regiment took shelter inside an enclosure in a nearby village and fought it out to the end. Gandalf’s worry had been that Faramir couldn’t hold his men together and you can see here what happens when organized units come apart—they are defeated piecemeal, “in detail” is the military expression. In contrast to this, we offer an action from Tolkien’s own time, the battle at Le Cateau, fought on 26 August, 1914. 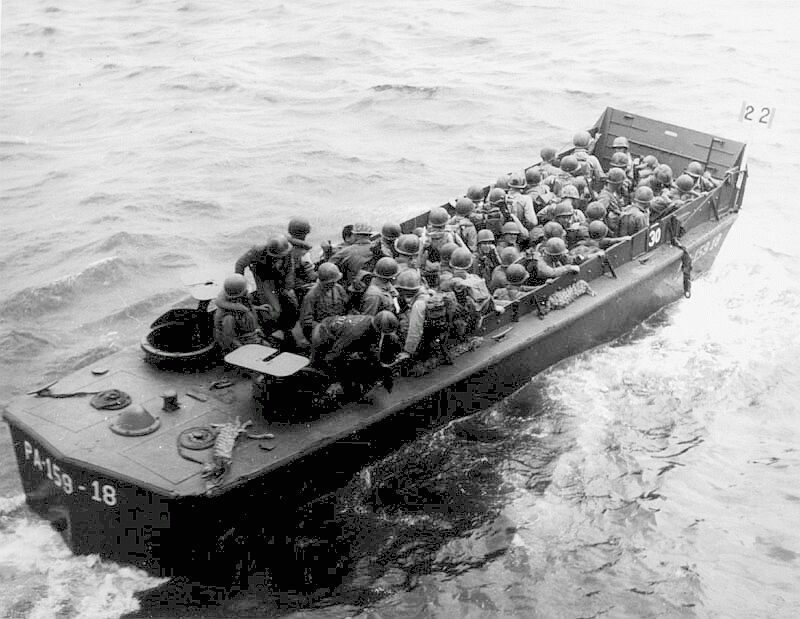 The British Expeditionary Force, facing superior numbers and in danger of being outflanked, particularly to the west, was engaged in a long retreat. Miraculously, unit cohesion was mostly maintained, although communications were often poor, causing confusion and, in one case, even in losing a unit, never notified of withdrawal. The British Army was divided into two larger groupings, First and Second Corps, and it was Second Corps which turned to face its pursuers. 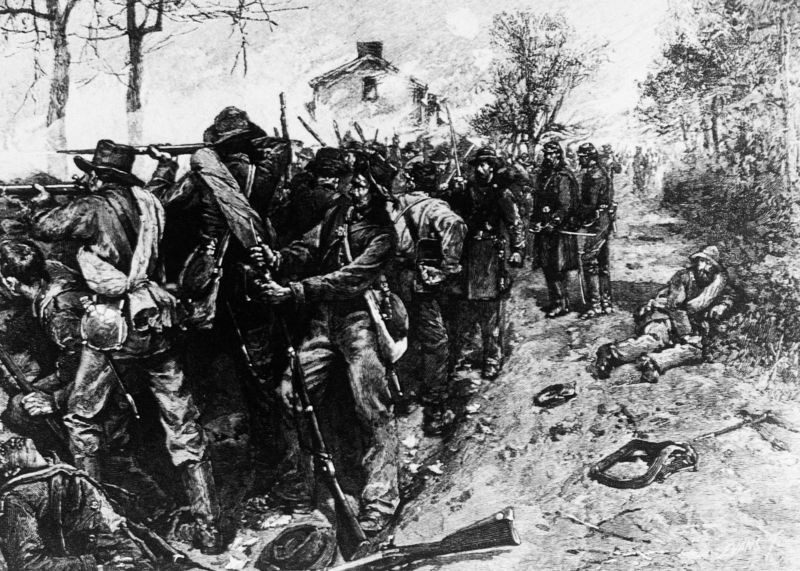 During a long morning, the British, in hastily-dug trenches, fended off superior numbers of German infantry. 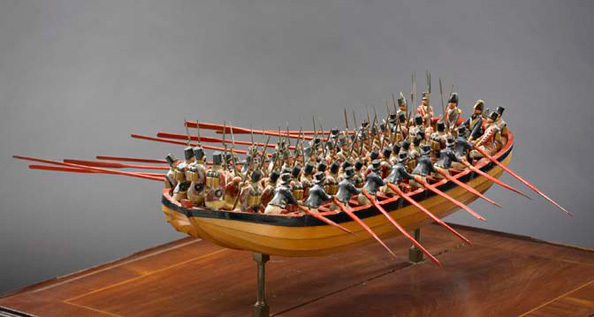 Having lost heavily, but having given the enemy similar punishment, the British slowed German pursuit and were able to withdraw without being as closely pursued as they had been. The difference here is in exactly what Gandalf was worried about. 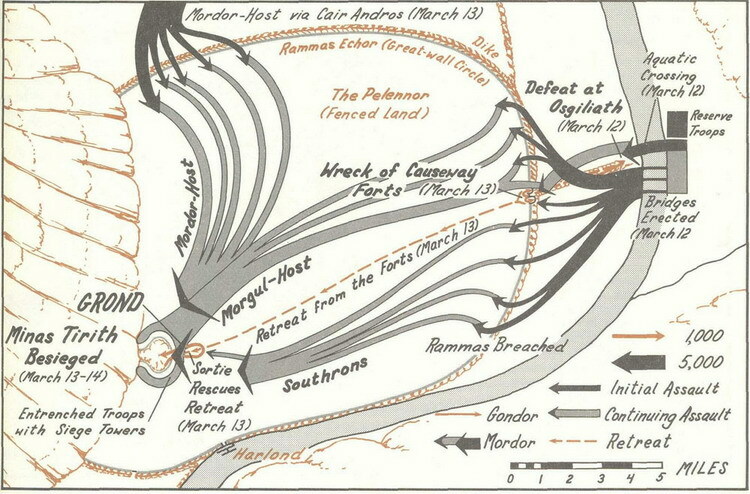 At Maiwand, the brigade fell apart and could easily be swept away by the enemy. At Le Cateau, although it was hardly a perfect affair, the British kept enough cohesion not only to withstand and defeat heavy attacks, but then to retreat in units, without ever collapsing into a fleeing mob. So, it looks like Faramir had succeeded in maintaining that sense of order and purpose which is vital for a fighting retreat. 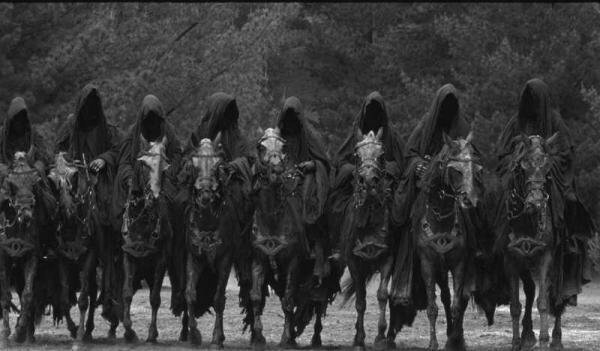 It was not to last, however, as a mass of enemy horsemen on the causeway behind, as well as several Nazgul from above, threw all into confusion—which was stemmed, in turn, by the arrival of a rescue party, led by the Prince of Dol Amroth and accompanied by Gandalf arrived to drive back the attackers. In that flurry, Faramir is struck by an arrow and has to be rescued and brought into the City, badly wounded. 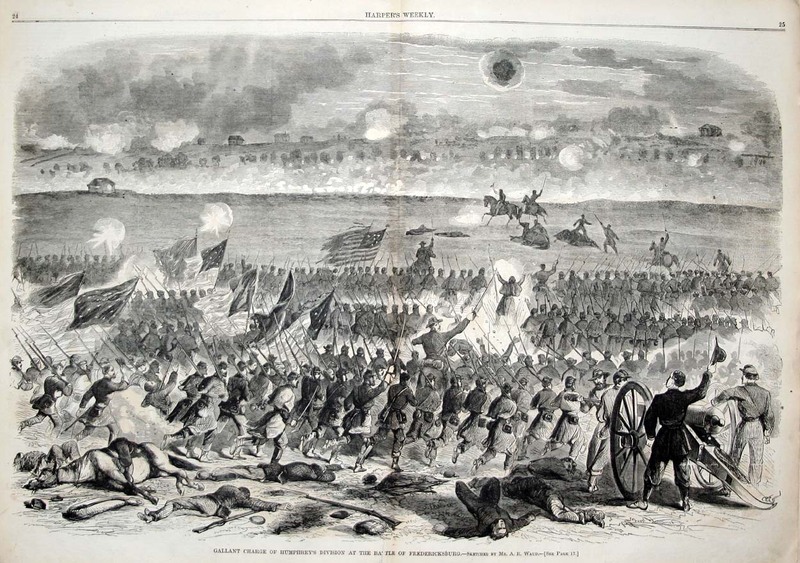 Looking back, it is a very different scene from that preposterous cavalry charge, isn’t it? As our readers are probably also experienced watchers of the films, we wonder: which do you prefer, Jackson/writers or the author? Recently, we wrote a posting about Saruman and his fate. It was fun to think about, but it made us think further about why Saruman, in the Shire, is called “Sharkey” by his thugs—supposedly from Orcish sharku, “Old Man”. If we had never read a description of Saruman, but only the nickname, we might think of “the old man” either as an older Anglo-American expression either for a father—“my old man keeps nagging me about cutting the grass, if I want my allowance” (note the use of the possessive “my”)—a naval/military term for commander—“the old man said that, on his ship, smoking would never be allowed again” (always without the possessive)—or older English for husband—“her old man is fooling around behind her back—I hope she turns around!” (again, with a possessive). 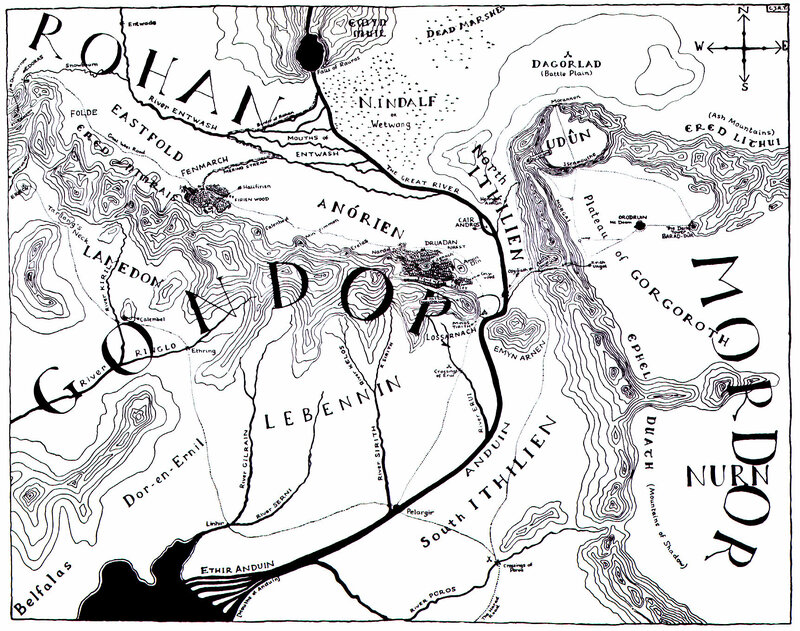 JRRT could have chosen a different path, of course, and created a plot in which there was constant, open war between the wizards and Sauron, and there is mention of war of some sort, as, during the time of The Hobbit, the White Council drives “the Necromancer” out of Dol Goldur in the southern part of Mirkwood. It’s not said how, but no army is mentioned, so we presume that it was done by magic against magic (on the subject of magic, see JRRT in the letter previous to the one to Murray, Letters, 199-200). We wonder if, in choosing to limit the wizards’ power, Tolkien made the same choice which Apollonius of Rhodes (3rd century BC) made in his version of the story of Jason and the Golden Fleece, The Argonautica. If you don’t know this story, the shortest way to explain it is to say that Jason’s wicked uncle has stolen the throne which rightfully belongs to Jason and, in an effort to make Jason disappear, his uncle has sent him off on what he hoped was a suicide mission. 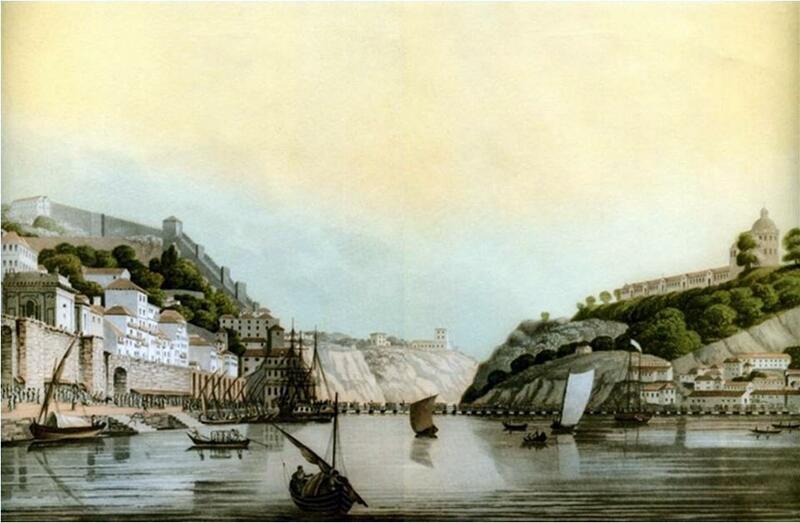 That mission was to bring back a magical golden fleece from the far side of the Black Sea (at the time, this would have been like a mission to Mars). 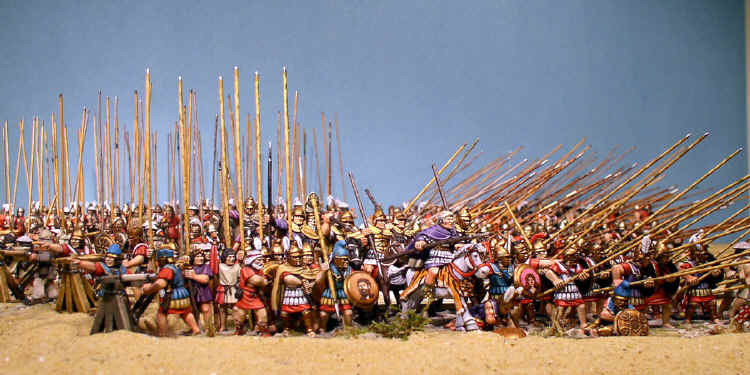 To help him, Jason summons heroes from across the Greek world. This means that Heracles had to be asked to join, but there is a big difficulty in including Heracles: he’s so powerful that he could do the job all by himself. Apollonius was extremely scrupulous, as far as we can tell, in following tradition, so he finds a way out. He puts Heracles’ bff, Hylas, on board the ship, then, at a watering spot, has the boy lured away by some randy water nymphs. The wizards do not just have the shape of men, however, but old men—“Thus they appeared as ‘old’ sage figures” (Letters, 202). might be more inclined to listen to such a person (although we notice that the corrupted Denethor is less than willing). would see them as mentors. And, as the Istari have been sent by the Valar, the last act on Gandalf’s part, as depicted in this Hildebrandt twins’ painting, has special significance, suggesting that, Aragorn has been given the throne with divine approval and, with his crowning, Sauron has been completely defeated and balance has been restored, even if only temporarily, to Middle-earth. 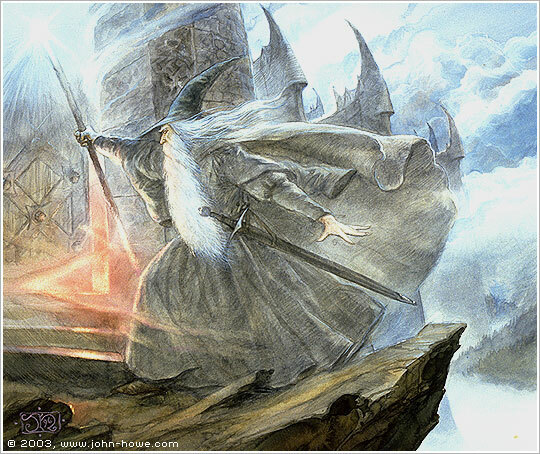 When this has been accomplished, Gandalf is then allowed to “retire”, as we seem to expect old men to do in our world (and as Tolkien himself did, in 1959), going to the Grey Havens and a final journey back to the West. We hear nothing more of Radagast and the two so-called “Blue Wizards”, but, Saruman also leaves Middle-earth—though not in Gandalf’s gentle way. And perhaps his end, shabby and disgraced, also shows a kind of divine approval: those given power must not abuse it, for the consequences not only to the world around them, but to them, can be fatal. Our title is an adaptation of the first line of W.B. Yeats’ gorgeous poem, Sailing to Byzantium (first published in 1928). Although it has nothing to do with Middle-earth, it does depict a strange, magical place. Welcome, as always. In this posting, we propose to suggest a connection—one, at the moment, at least, which we can’t prove—between Tolkien and the late-Victorian/Edwardian/Georgian (he was born in 1840 and died in 1928) poet/novelist, Thomas Hardy. 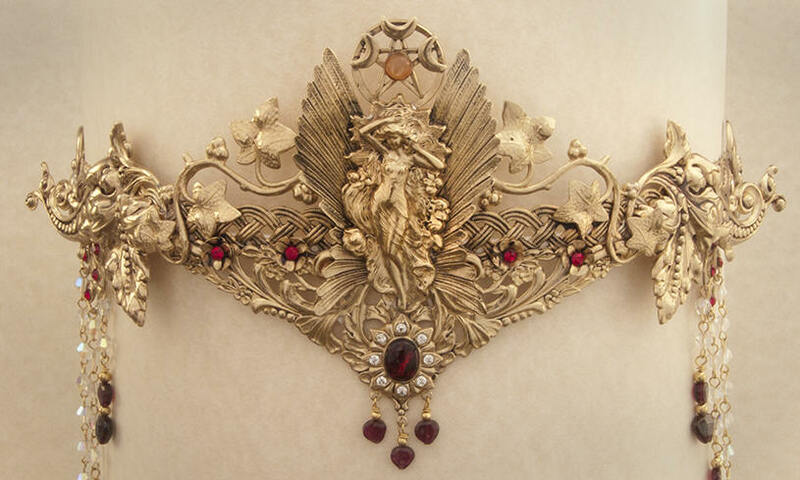 It can be made, as the one described, of lamellae of bronze, or of iron, which are sewn to an underlying fabric. Sam’s curiosity was quickly dampened by the sight—and it makes us wonder if what we are also seeing here is Lieutenant Tolkien’s first glimpse of a dead enemy soldier. “Yes; quaint and curious war is! in the Victorian world in which this poem was written (1902—published in Hardy’s Time’s Laughingstocks, 1909 ). The speaker is, in his own words, however, from an earlier day. When Hardy wrote the poem, the Second Boer War (1899-1902) was just ending, but it was hardly a war in which soldiers did as the speaker says, “but ranged as infantry,/and staring face to face,/I shot at him as he at me,/and killed him in his place.” The war had begun with British infantry attacking in spread-out lines, but still very visible on the landscape and it had cost them dearly. 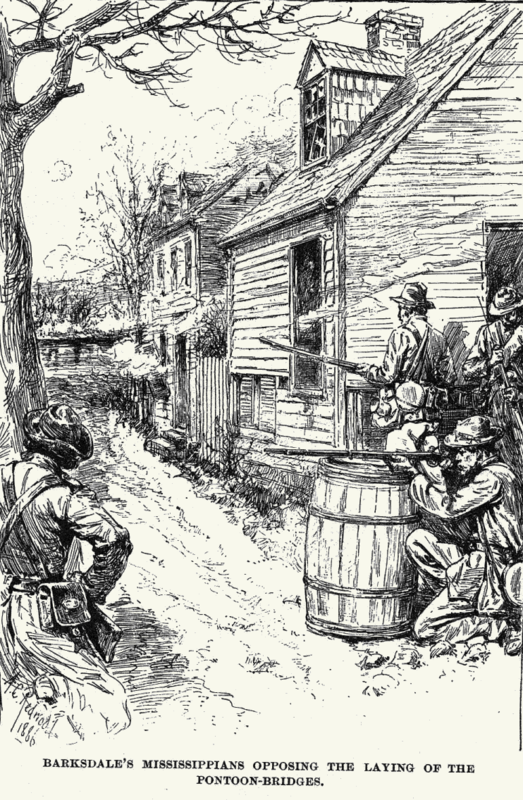 Their enemy—mostly all militia—that is, part-time soldiers—had dug in from the start. 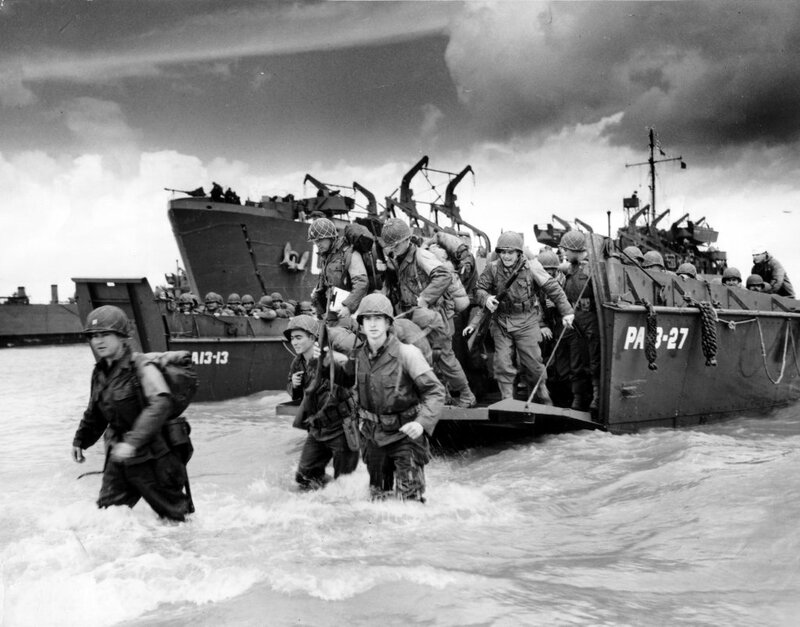 British losses had taught them to do the same. What the speaker is describing sounds much more like earlier European wars, in which soldiers stood in long lines at a narrowing distance from each other and fired. 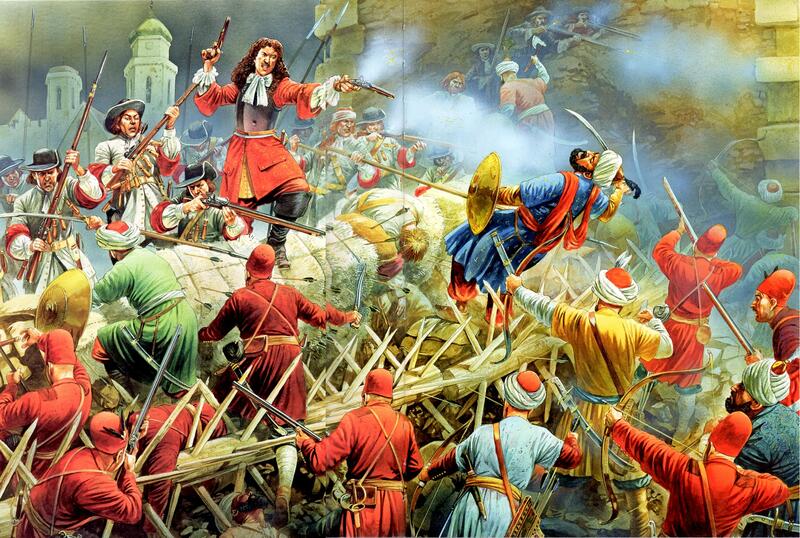 The last of these, for Britain, had been the Crimean War (1854-56). Had Tolkien read the Hardy poem and perhaps have even been inspired by it? Both scenes include a battlefield, a battle death, and a lingering sense of regret—although Sam hadn’t killed the man from Harad, he displays that same sense of “this was just a person, an ordinary person, once” which gives the Hardy poem its power. As ever, we leave it to you, dear readers—what do you think? Thanks, as ever, for reading! Dear Readers, as always, welcome! In the Land of Mordor where the Shadows lie.” LoTR 50.
or even, considering Tolkien’s own mythology, a silmaril. 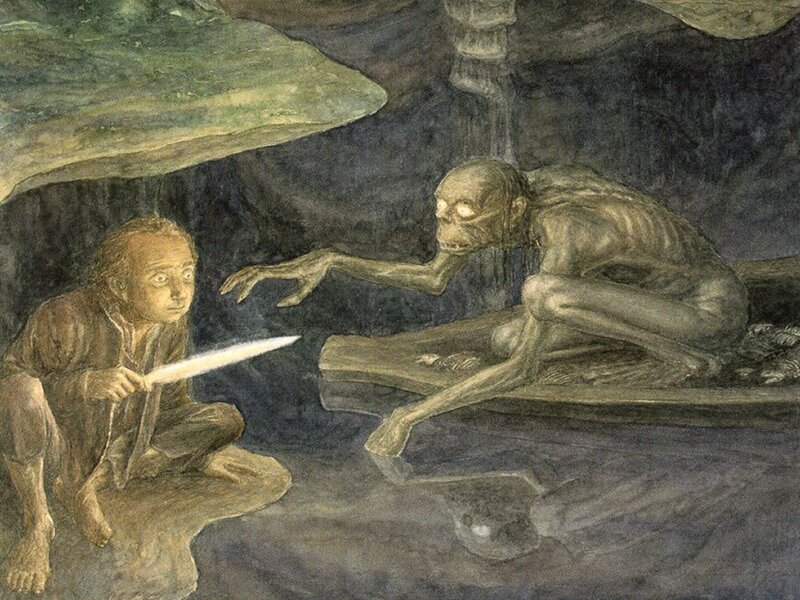 In The Hobbit of 1937, the Ring was originally simply a magic ring right out of folk and fairy tales, with apparently one gift, invisibility, for which Gollum treasures it. “the primary symbolism of the Ring, as the will to mere power, seeking to make itself objective by physical force and mechanism, and so also inevitably by lies…” LTR 160. Although this tells us something about the force within the Ring, it doesn’t really explain why a ring. —just as Sauron gives rings to the ancient kings and so holds their allegiance long after their natural lives should have ended. This is echoed in “and in the darkness bind them” , which brings us back to those verses with which we began. In them, the Ring’s powers are clearly laid out (rather like Saruman’s claimed goals, “Knowledge, rule, order”): rule, find, bring, bind. As Gandalf tells us, the primary reason for the creation of the Ring was, in fact, to rule, both the other rings and, through them, Middle-earth and its peoples: Elves, Dwarves, Men. To do so, Sauron endowed the Ring with much of his own power, a perfect example of his arrogance, depriving himself of power he might need, clearly convinced that he would suffer no harm from its lack. 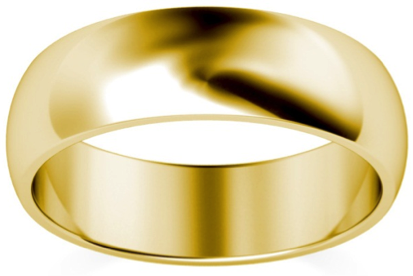 As he endows the Ring, it seems that he—intentionally?—passed on to it a small bit of his self-will. 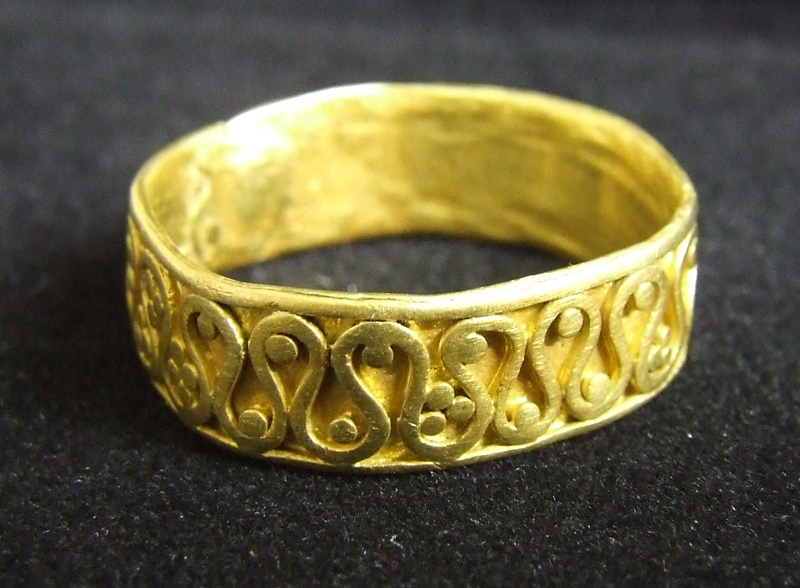 Unlike inanimate objects in our world (and we presume in Middle-earth, too), the Ring not only shows purpose, but can act upon it. 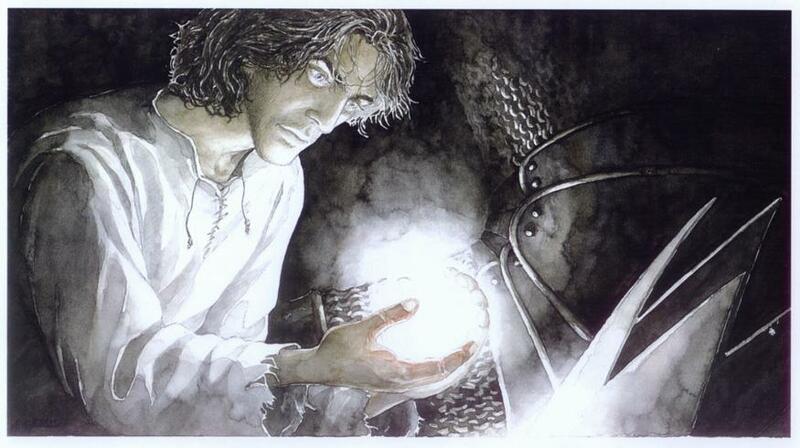 “A Ring of Power looks after itself…It was not Gollum, Frodo, but the Ring itself decided things. The Ring left him…The Ring was trying to get back to its master.” LotR 55. To do so, it uses another of its powers, it brings people to use as vehicles, discarding them when they have served its purpose. “It had slipped from Isildur’s hand,” says Gandalf (a hand already under the Ring’s control, as it couldn’t force itself to destroy the Ring when it had the chance) and betrayed him; then when a chance came it caught poor Deagol, and he was murdered and after that Gollum, and it had devoured him. It could make no further use of him: he was too small and mean…So now, when its master was awake once more…it abandoned Gollum, only to be picked up by…Bilbo.” LotR 55-56. To acquire such vehicles, the Ring uses a third power, finding. Gandalf’s list suggests that that power entails some innate ability to sense who will be most attracted to it. They appear to be rather a wide assortment, from the heir to the throne of Gondor to two proto-hobbits. And there are also those not on Gandalf’s list: Saruman and even, to some degree, Galadriel. As for Gandalf himself, he, like the Lady of Lorien, is wise enough to avoid the ultimate temptation, as is Faramir, perhaps because, as his father accuses him, he has been Gandalf’s pupil and has acquired some of his awareness both of events and of himself. Our list would not be complete, however, without Frodo and Sam. It is hard to imagine that the Ring has picked them: Frodo, after all, has inherited it. This doesn’t mean that he is not influenced by it, even, at the end, sounding more like Isildur than himself in his refusing to destroy it, suggesting that, even by inheritance, someone can be found, brought, and ruled. And Sam? 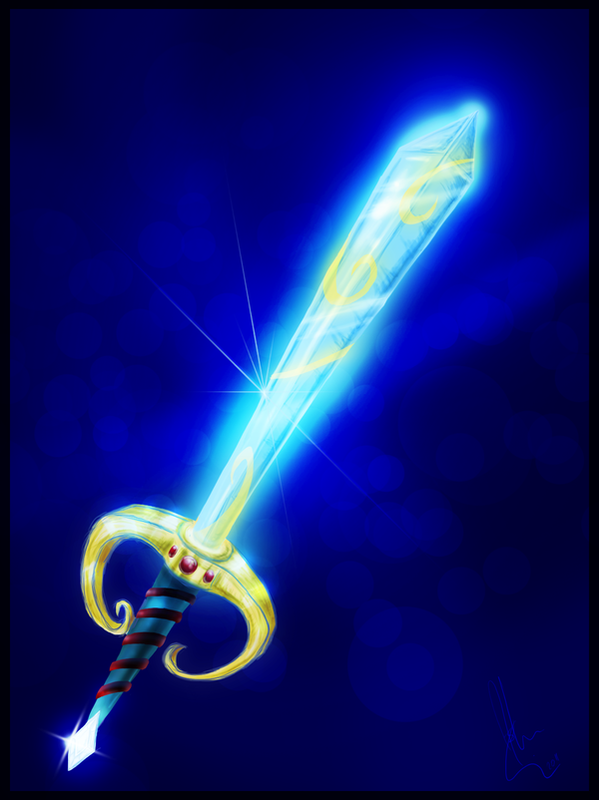 He holds it only briefly, but surrenders it so easily that it appears to have little ultimate power over him, something which he shares with Tom Bombadil, perhaps because both are grounded—quite literally—in Middle-earth. It is no surprise that Galadriel gives him a gift for growing things and that, in his consolation of Sam, Frodo says that he will be “the most famous gardener in history” (LoTR 1029). As for Bombadil, it would appear that the same sort of protection which keeps Sam from being found, brought, and ruled keeps him safe. When he holds up the Ring and looks through it, for a moment we might see that, for him, the symbolism of the “will to mere power” means nothing and, instead, he sees it only as an empty metal band. For others, from the Nazgul to Frodo, who never feels whole again, the fourth power, binding, has done its job and also perhaps, in doing so, answers the question, why a ring? What better binder than a perfect circle, seemingly blank, but with a hidden message, almost a spell, and which, when put on, pulls you from the daylight world and, which, worn too long, can keep you there forever? Welcome, as always, dear readers! In this posting, we’re going to make another suggestion about a model for something in Tolkien’s work. If you read us regularly, you know that our favorite part of P. Jackson’s The Lord of the Rings is anything to do with the Rohirrim. When we rewatch favorite scenes, the charge against the Orcs outside Minas Tirith is always first on our list (and high on our general list of cavalry charges—more on those in a future posting). 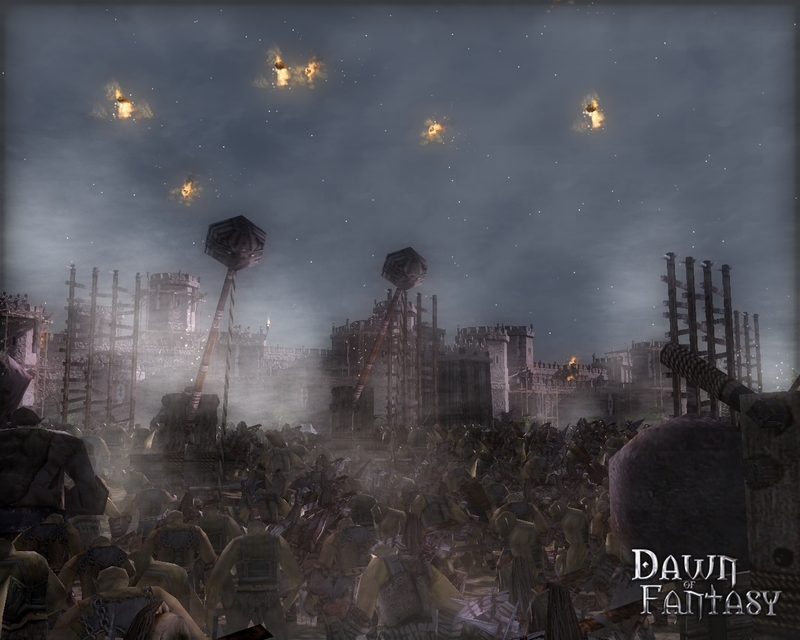 and, eventually a giant, flame-filled battering ram. Things look increasingly desperate for Gondor as the Orcs press their attack, led by the Chief Nazgul. And that’s when the Rohirrim appear. And move to strike the Orcs from behind. When the Orcs realize what’s happening, they try to stop the attack with bows. This immediately reminded us of the 1415 battle in which English longbowmen and their clever use defeated an army of brave French knights, Agincourt. 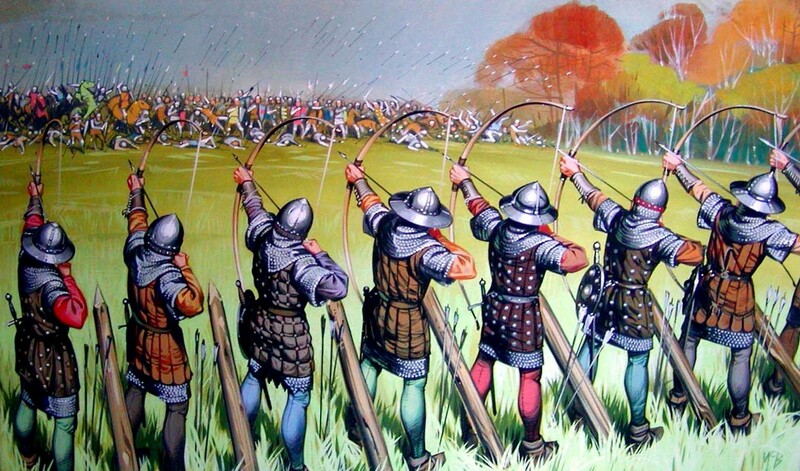 Unlike Agincourt, however, arrows didn’t stop the Rohirrim, who sweep through the enemy—but are brought up short by the sight of a row of mumakil—giant war elephants—bearing down on them. The film goes on from there, including an attack by a ghost army, instead of by the actual forces brought from southern Gondor by Aragorn, but we want to back up a bit to the actual siege and another one which bears a strong resemblance to it. 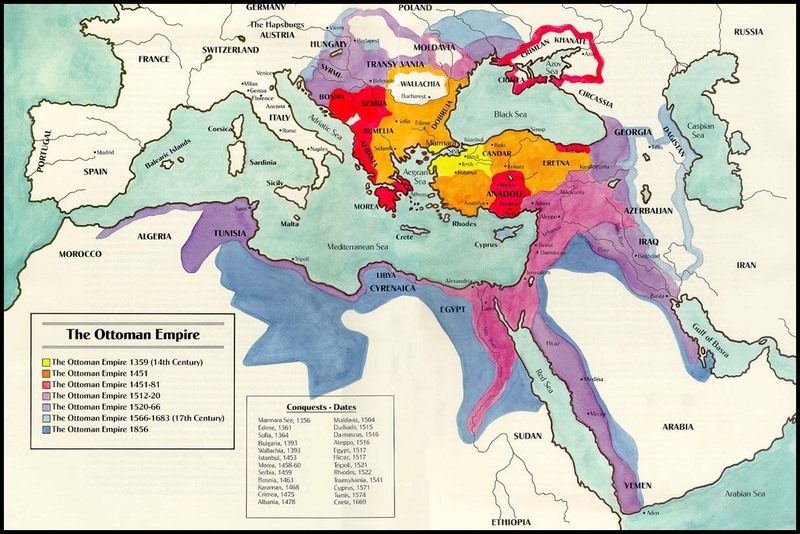 For centuries, the Ottoman Turks had been expanding their dominions. 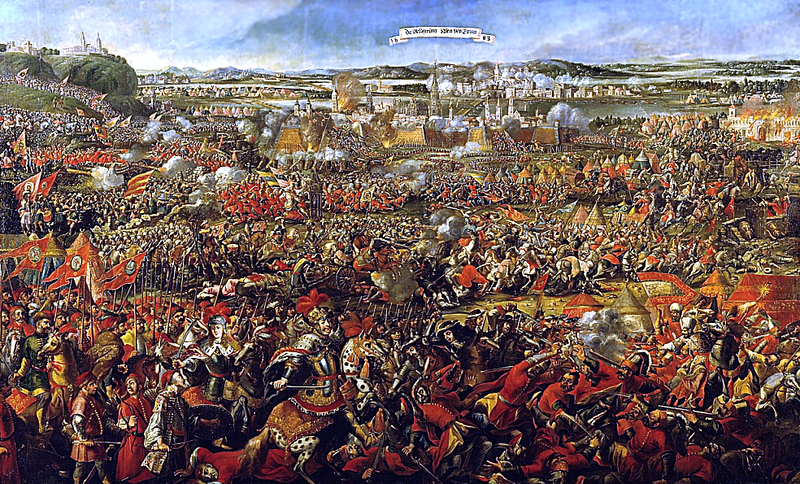 but had given up the siege. Now, however, in 1683, they were back. 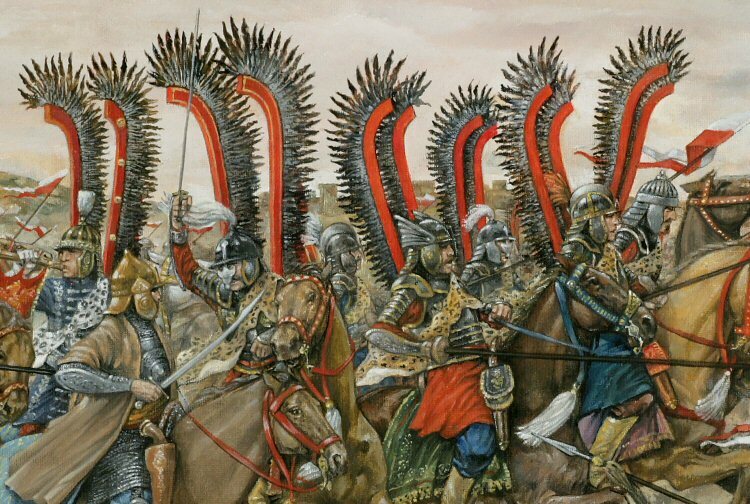 had brought them to the edge of conquest when an army of reenforcements, including cavalry from the army of the combined state of Lithuania/Poland, had appeared. 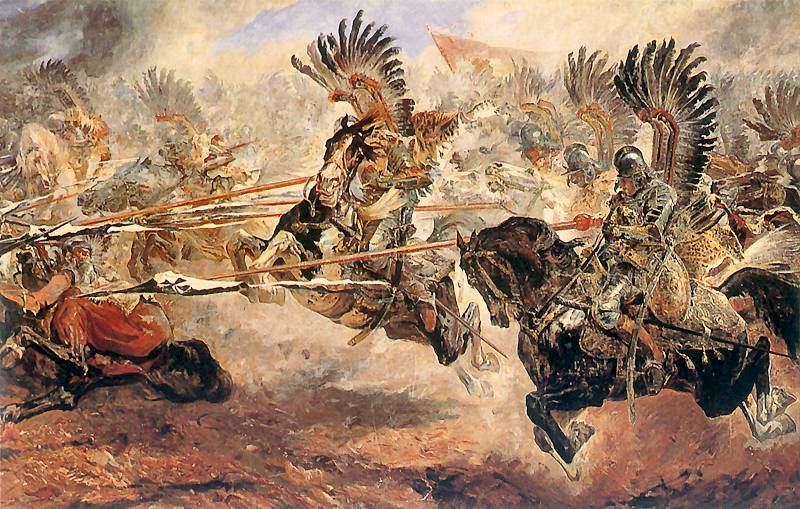 Some of the cavalry were the famous Polish winged hussars. 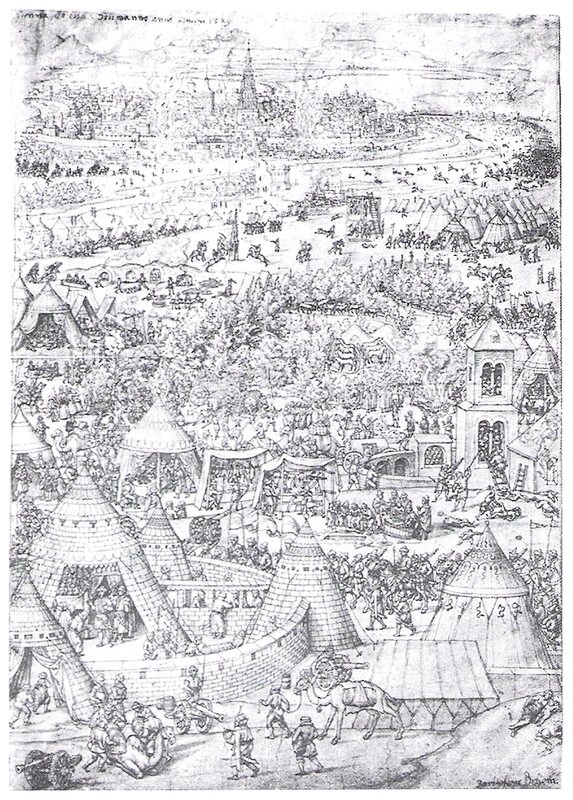 The reenforcements, Poles in the lead, rush upon the Turks and drive them back through their camps and out of the siege entirely. So similar, isn’t it? 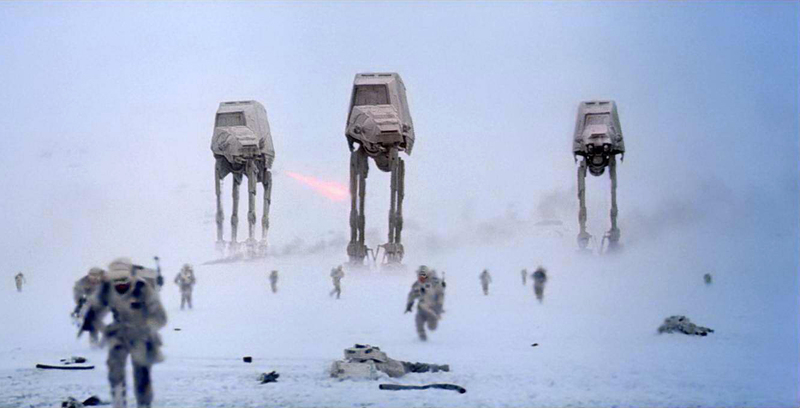 No giant war elephants, ghost armies, or Nazgul, but the basic elements of siege, relieving army with cavalry led by a king attacking an unprepared enemy, and chasing off the besiegers, is nearly identical. Tolkien was an extremely well-read man, with a strong interest in history. Was the siege and relief of Vienna somewhere in the back of his mind when he began to plan the siege of Minas Tirith? 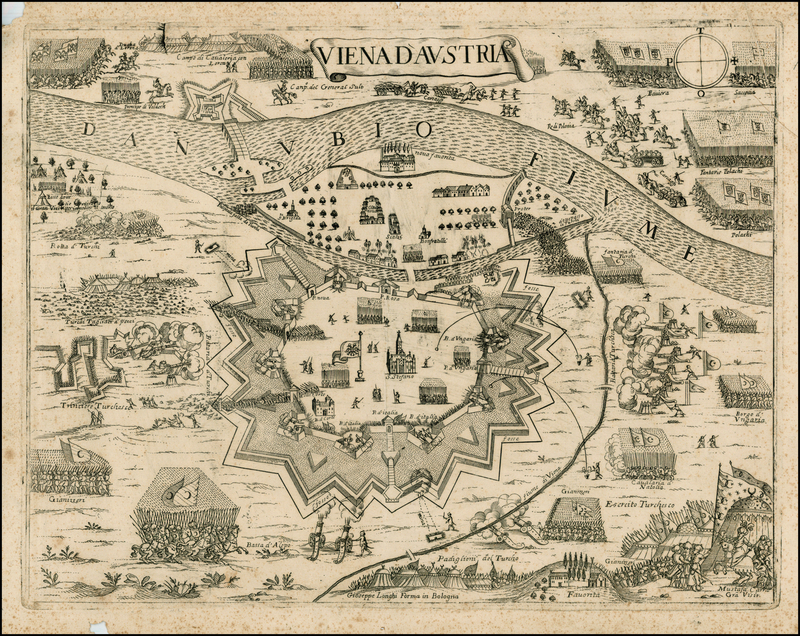 We can begin with a map and a description by a participant. 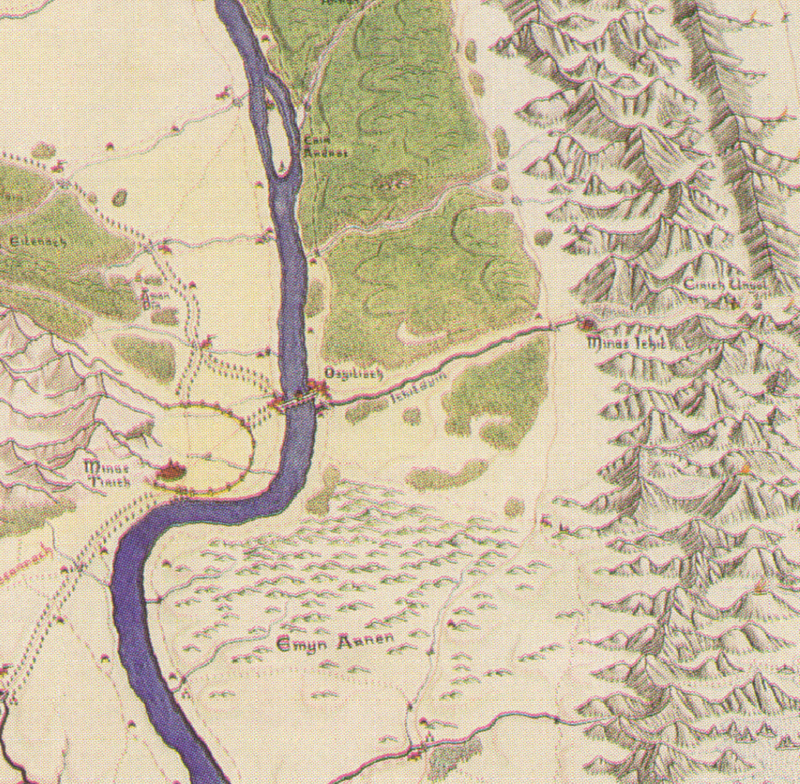 Here’s the Anduin, the major obstacle for Sauron’s forces to cross at a point in easy striking distance of Minas Tirith. To the south, somewhere between forty and fifty miles, lies Osgiliath. 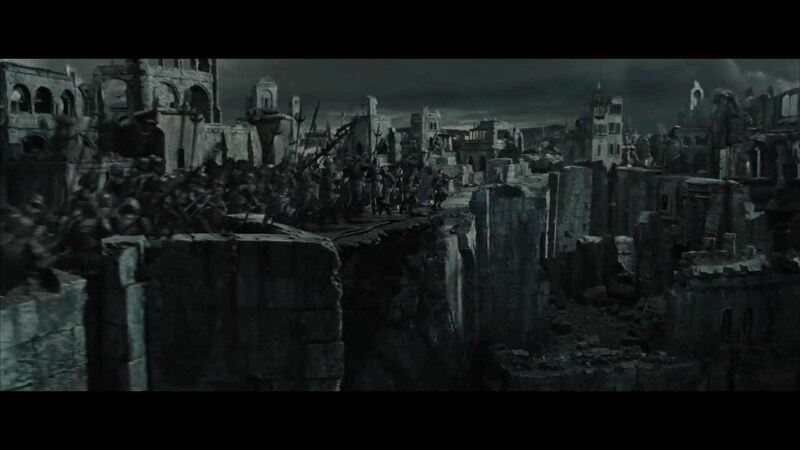 Identified by Denethor as the other major crossing point, it was once a prosperous city, but now lies in ruins, with its bridges destroyed (Celeborn to Aragorn: “And are not the bridges of Osgiliath broken down and all the landings held now by the Enemy?” LotR 367). 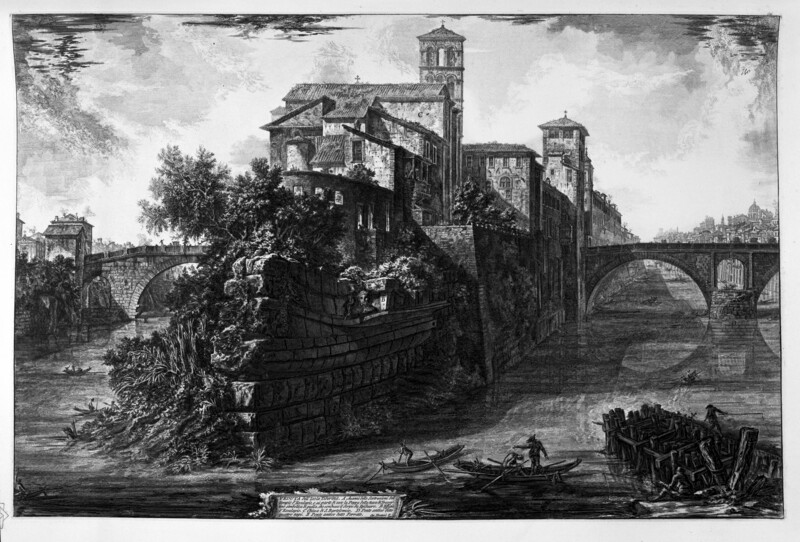 The problem, then, for the Enemy is how to cross a river against opposition, a classic problem for generals since there were generals. 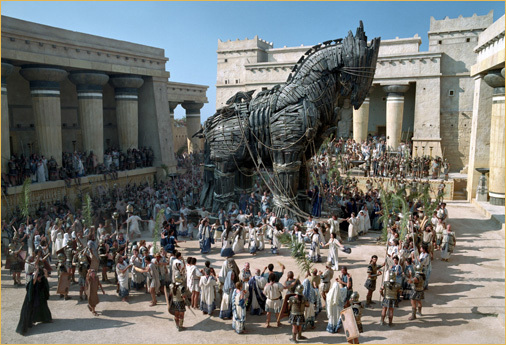 We think, for example, of Alexander at the Hydaspes River in 326BC, defended by King “Poros” (actually Porushattama—Greeks were determined to tame everything—including other cultures’ proper names). 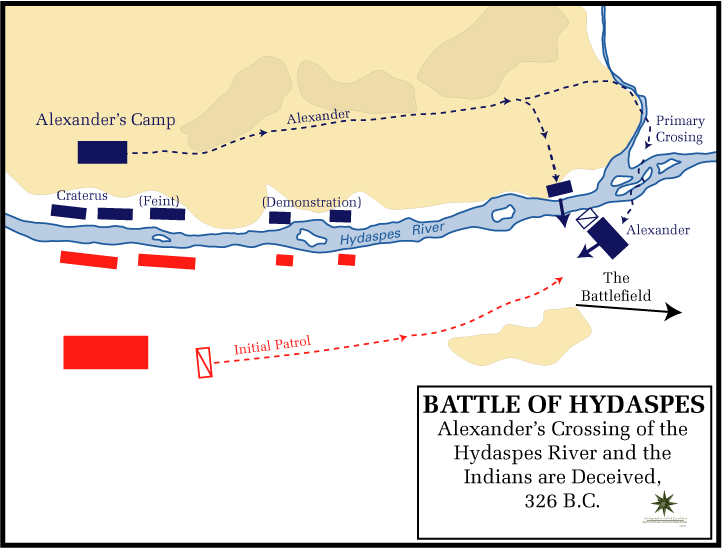 As you can see from the map, Alexander crossed upstream, having distracted the king with a demonstration (military for “feint/decoy”). 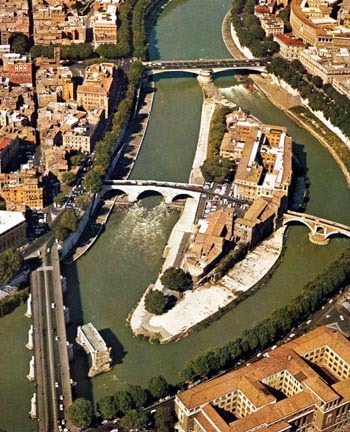 the Enemy would have to cross the river in the face of opposition within a town. 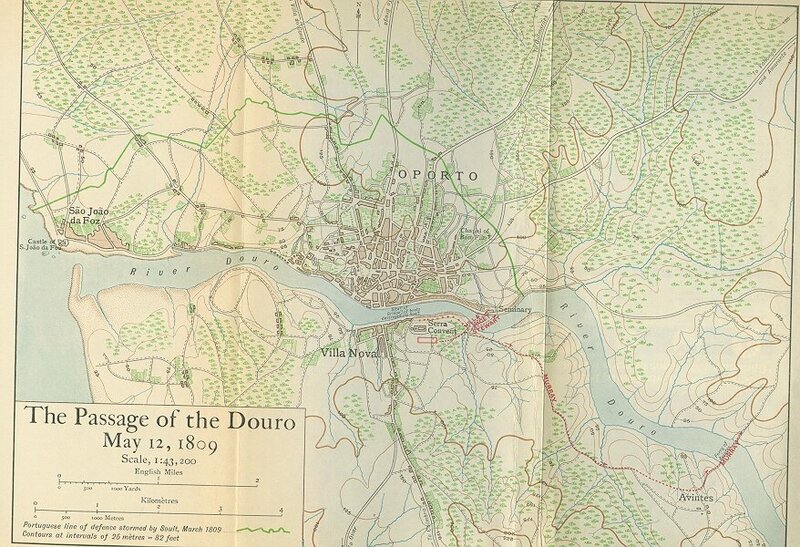 Here, we thought of several possibilities: Wellington’s crossing of the river Douro against French resistance in 1809, for example. 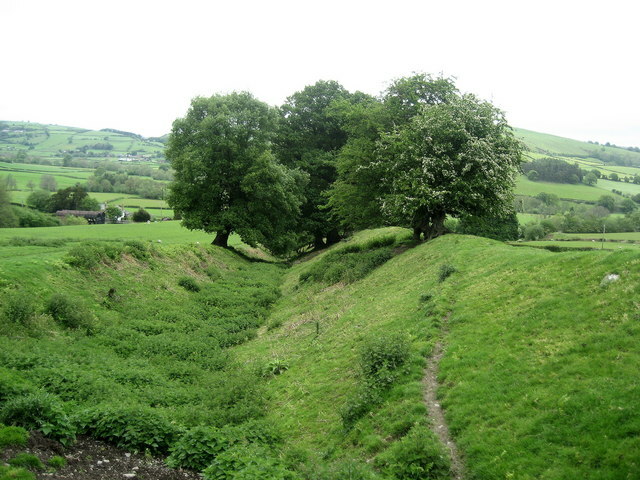 Here was not only the river, but its steep banks, as well. 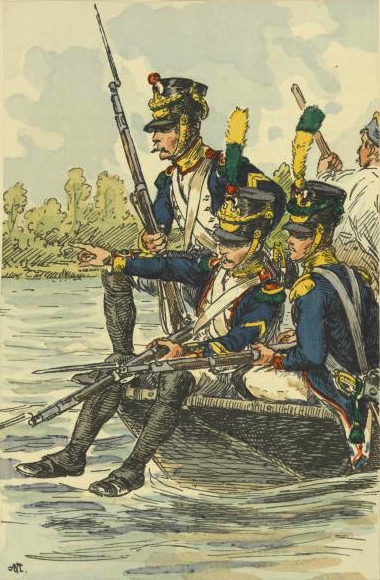 and the surprised, but always brave and sturdy, French soldiers were eventually pushed back north, out of the town. 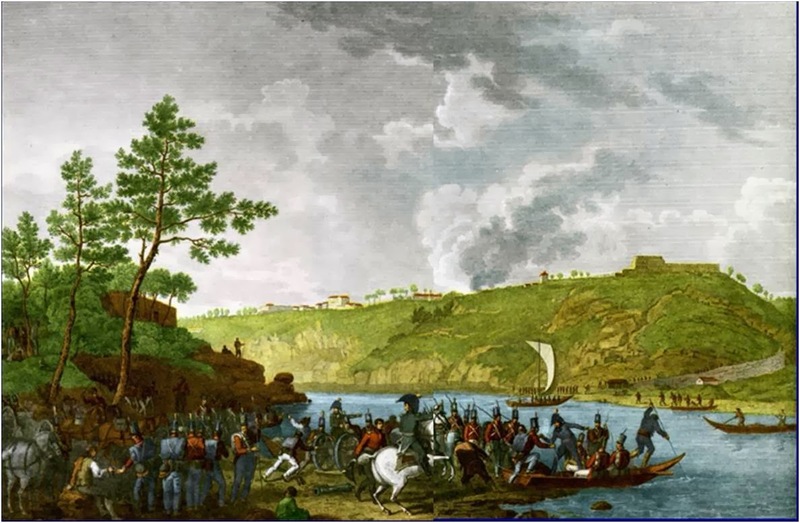 As you can see, this was really a frontal assault, but, because of their former preparations and their sense of the geography, the French had been lulled into thinking that they were prepared. 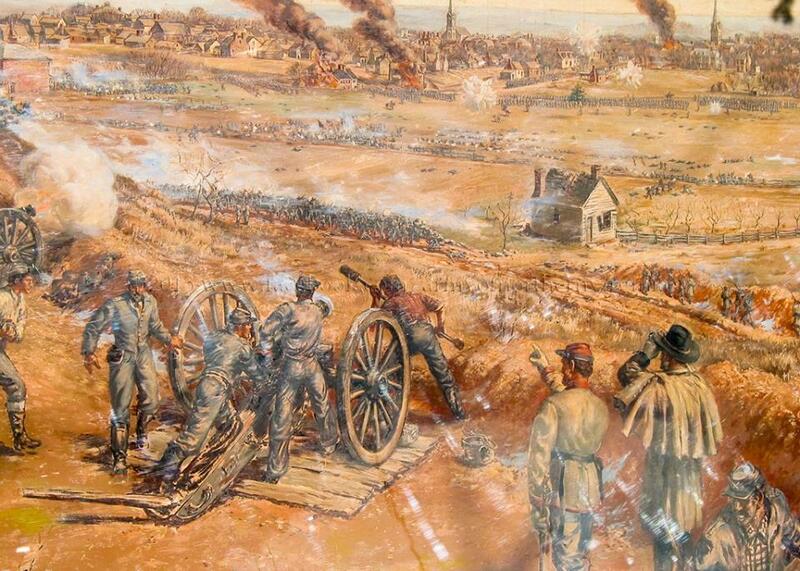 A second battle with a river crossing against a defended town which occurred to us was from the US Civil War, Fredericksburg, fought in mid-December, 1862. 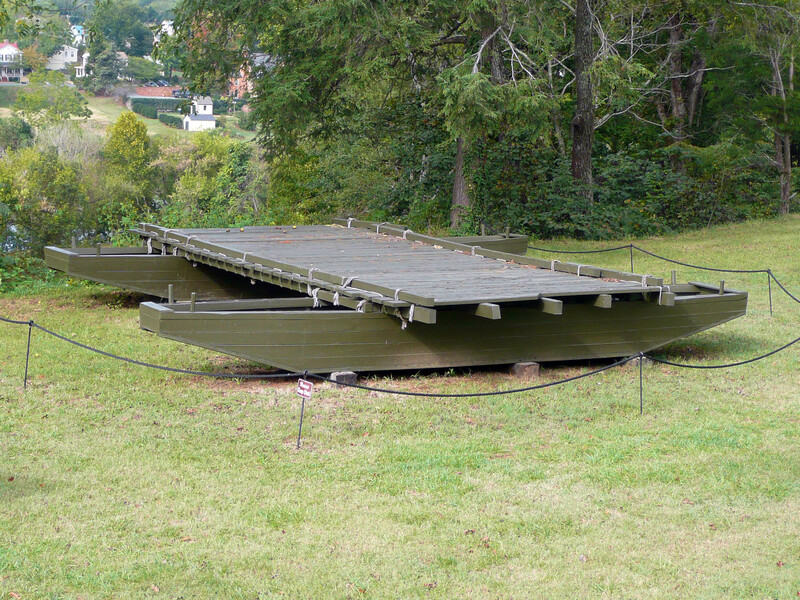 Here, as this extremely useful panorama shows, this was actually a two-step battle: first the Union troops had to cross the Rappahannock River, then they had to drive the Confederate Army from their positions on high ground beyond. 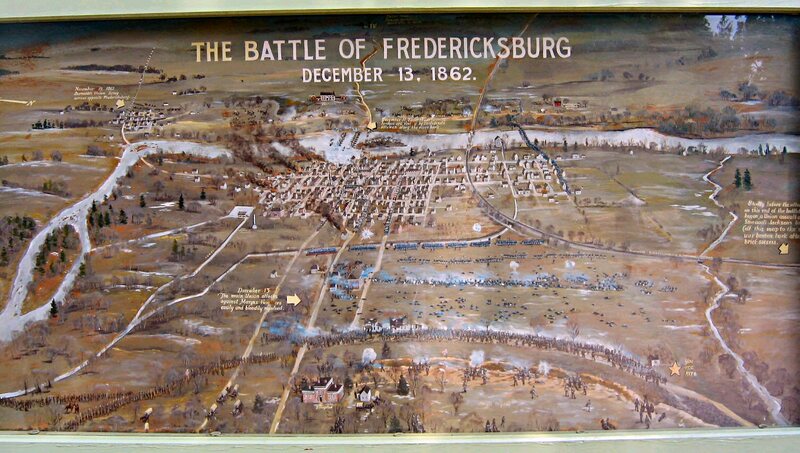 The town of Fredericksburg itself was lightly held: mostly close to the river and relatively few in numbers. 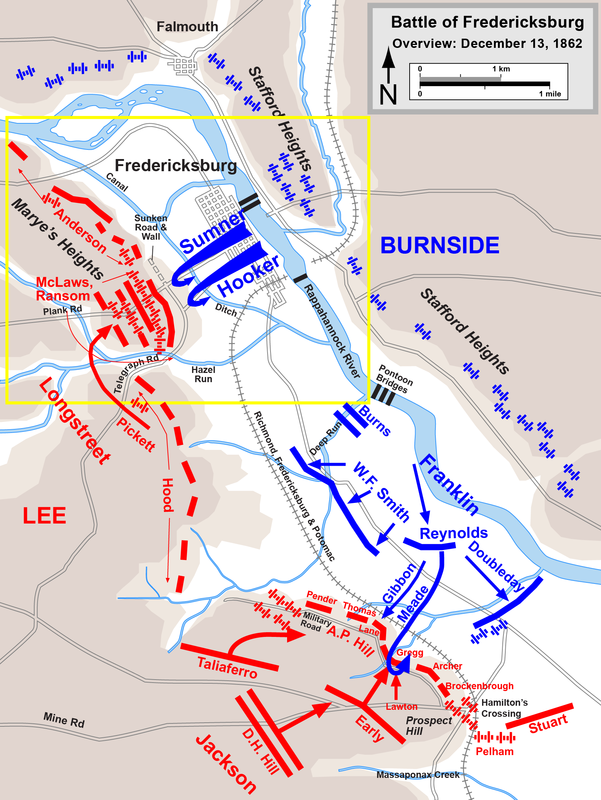 The main Confederate positions were spread a bit thinly for their numbers (not much in the way of reserves, had there been a breakthrough—Lee had had a similar problem at Antietam), but paid close attention to the ground, including taking advantage of a sunken road with a stone wall at its edge as a makeshift trench. 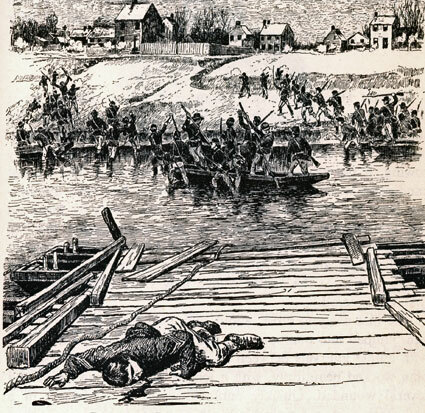 To cross the river itself meant a two-stage process: first, to gain the opposite bank and set up a perimeter; second, to build several pontoon bridges to allow for the rapid deployment of troops and artillery. 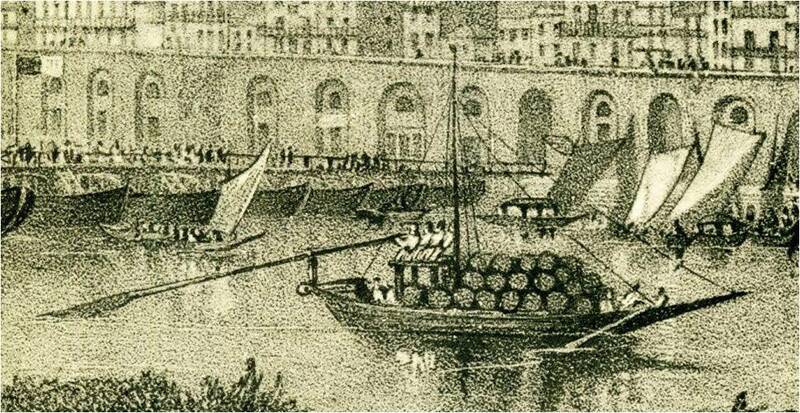 and, with the addition of planks and anchors and ropes, created complete roadways across bodies of water. 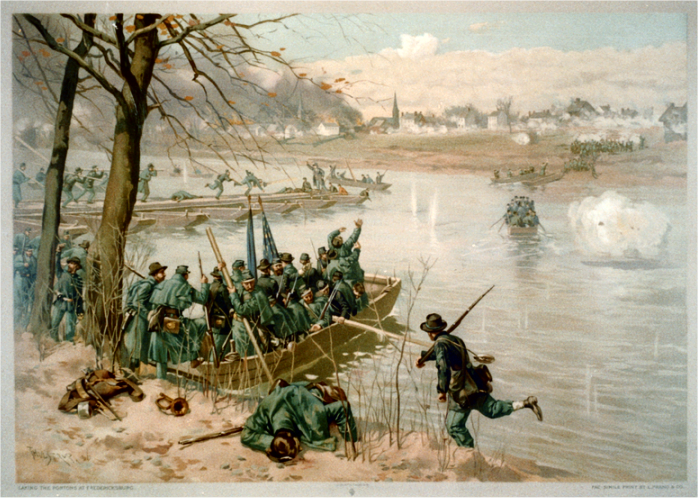 the Union troops managed to secure a foothold on the opposite bank. When bridges went up, stage one had been successful. But, when the Confederates had withdrawn from the town (which they had never intended to occupy in force), there was still that second stage. 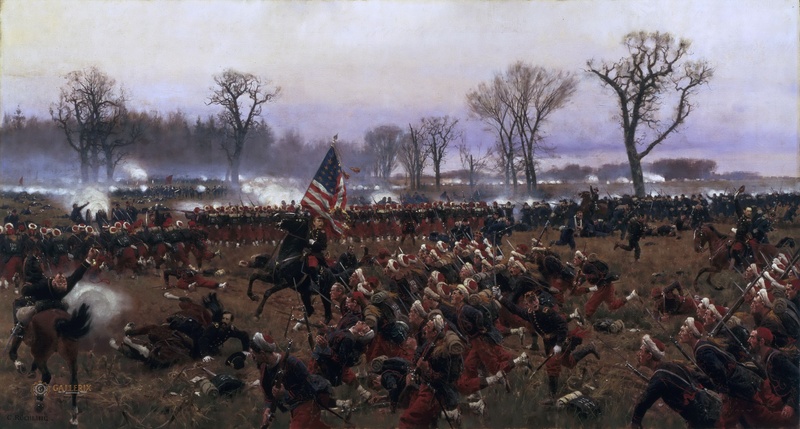 as you can see in this splendid painting by Carl Roechling, one of our favorite 19th-c. German military-historical painters of the attack of the 114th Pennsylvania (uniformed like French Zouaves, those most admired of French soldiers during this period). “The plan has been well laid. 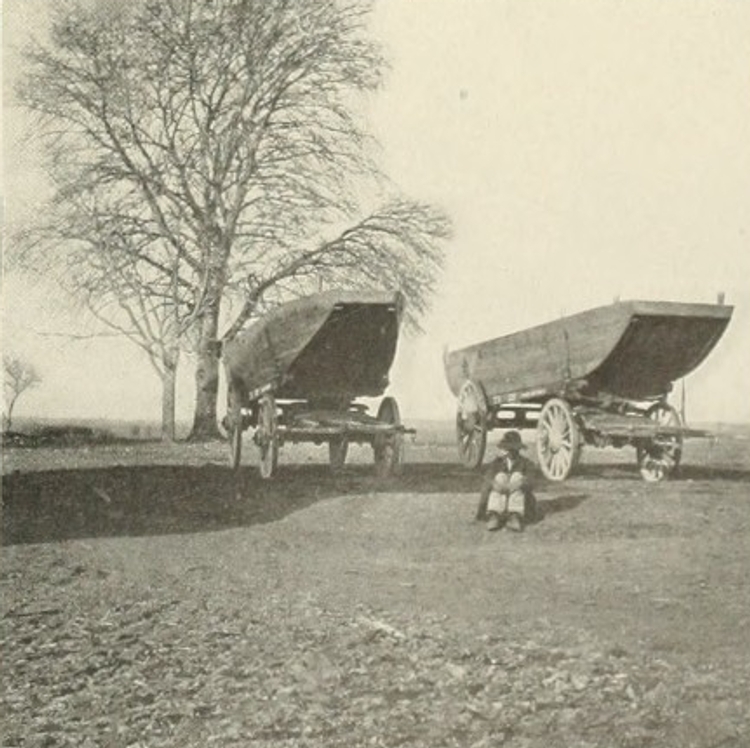 It is now seen that in secret they have long been building floats and barges in great number in East Osgiliath. They swarmed across like beetles.” LotR 817. 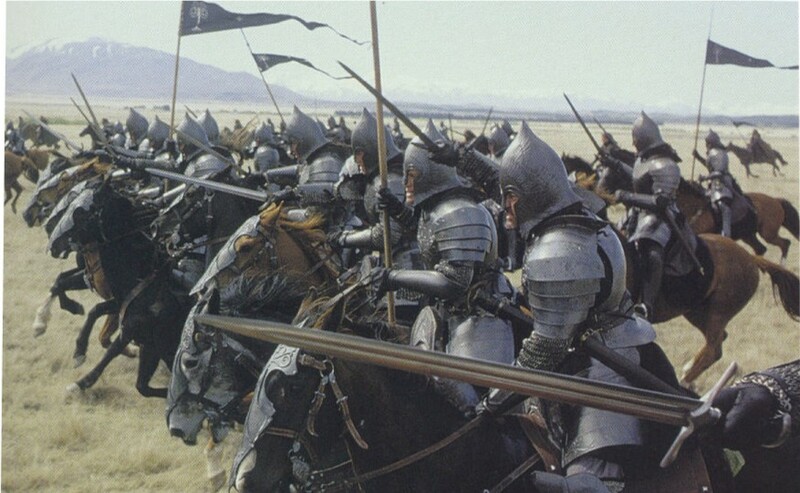 The “beetles” mentioned by Faramir’s messenger swarm over the men of Gondor, so heavily outnumbered that, as Faramir says, “Today we may make the Enemy pay ten times our loss at the passage and yet rue the exchange. For he can afford to lose a host better than we to lose a company.” LotR 816. 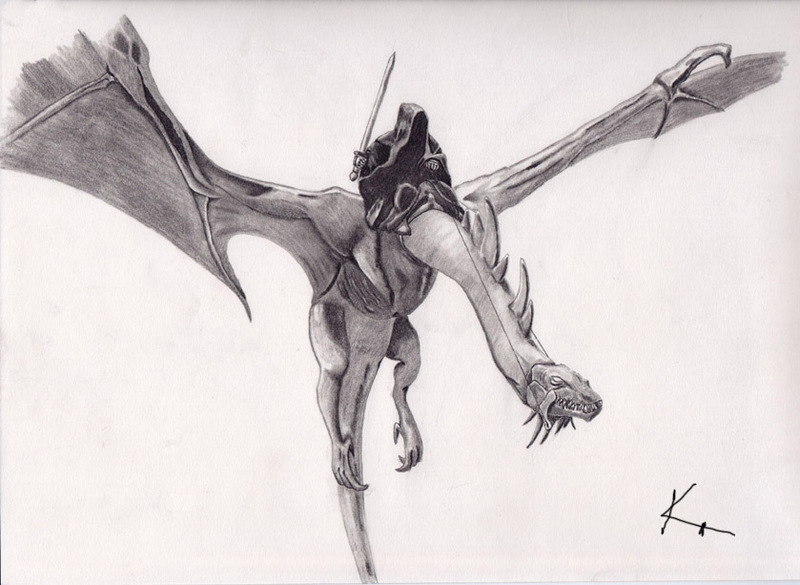 And then there is their other weapon, the Chief Nazgul. “But it is the Black Captain that defeats us. Few will stand and abide even the rumor of his coming. His own folk quail at him, and they would slay themselves at his bidding.” As Faramir’s messenger adds. LotR 817.
and we wonder if other commanders—Alexander, Wellington, the Union general Burnside, for example–when faced with the problem of a defended crossing, would wish to have him on their side—or the Black Captain? Where Did It Go– And Why? 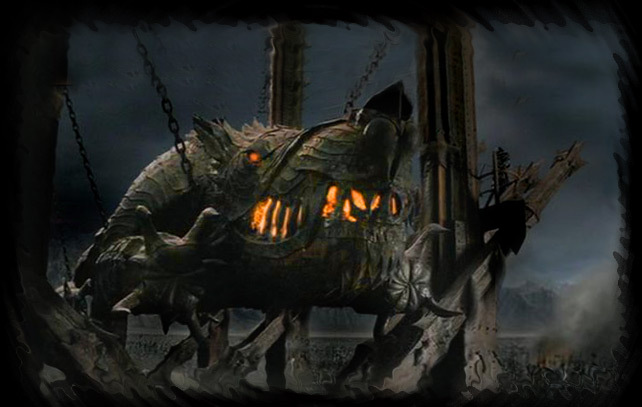 In this post, we want to consider the Rammas Echor, which, in the original, had holes blown in it by the invading army of Sauron, but was demolished completely by the script writers for Peter Jackson’s LOTR. We first meet it when Gandalf and Pippin, in their rapid journey to Minas Tirith, are briefly stopped at what appears to be a sally port in it (rather than a major gate, as Shadowfax is said to have “passed through a narrow gate in the wall” 749). Gandalf briefly trades remarks with an officer named Ingold (who appears briefly later in the story to report that the northern section has fallen, 821) before he and Pippin continue their journey. “Gandalf passed now into the wide land beyond the Rammas Echor. So the men of Gondor called the out-wall that they had built with great labour, after Ithilien fell under the shadow of their Enemy. For ten leagues [about 30 miles in the English system—about 48 km in the metric] or more it ran from the mountains’ feet and so back again, enclosing in its fence the fields of the Pelennor: fair and fertile townlands on the long slopes and terraces falling to the deep levels of the Anduin. 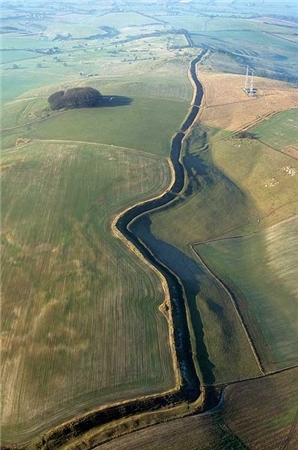 At its furthest point from the Great Gate of the City, north-eastward, the wall was four leagues [12 miles—about 19 km] distant, and there from a frowning bank it overlooked the long flats beside the river, and men had made it high and strong; for at that point, upon a walled causeway, the road came in from the fords and bridges of Osgiliath and passed through a guarded gate between embattled towers… “ 750. With so much of Tolkien, one can find illustrations from the usual artists—the Hildebrandts, Howe, Nasmith, and Lee—but for this particular—and important—architectural feature, we haven’t discovered—so far—a single illustration. 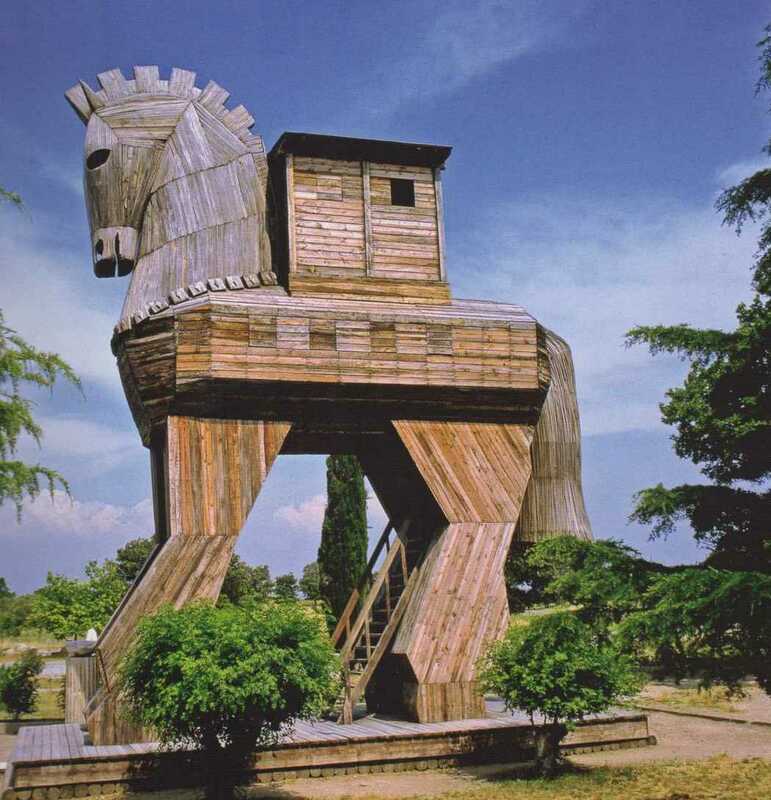 It’s made of stone and has evidently not been well-maintained: “Many tall men heavily cloaked stood beside him [Shadowfax], and behind them in the mist loomed a wall of stone. Partly ruinous it seemed, but already before the night was passed the sound of hurried labour clould be heard: beat of hammers, clink of trowels, and the creak of wheels.” 748 And, as mentioned above, it has gates, but, beyond that, what does it look like? 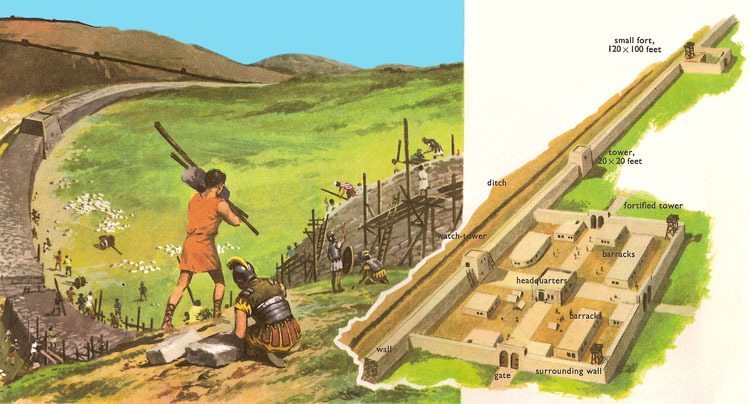 and, of course, the well-known 2nd –century AD work, Hadrian’s Wall, with its surviving stone work and its elaborate series of mile castles, gates, and supporting forts and camps. We might also cast further afield and in time. 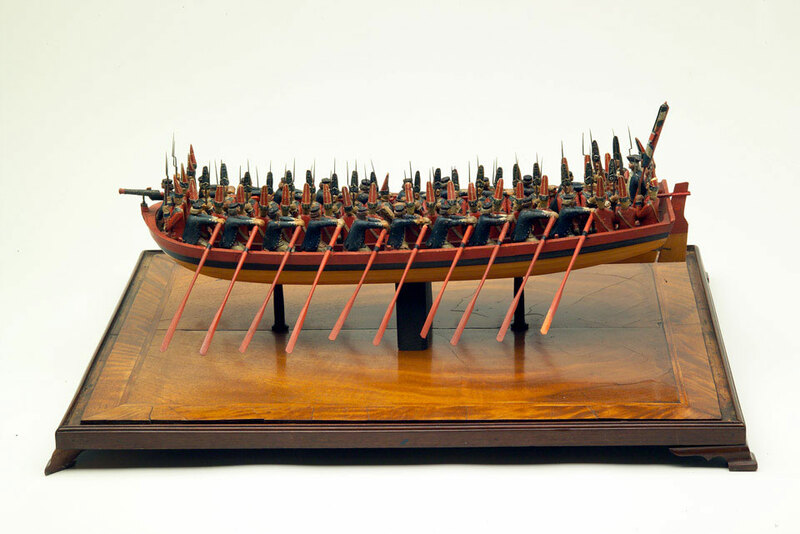 In Book 7 of the Iliad, the Greeks dig a ditch, fill it with sharpened stakes, and build a stone wall behind it to protect their ships from Trojan attack. 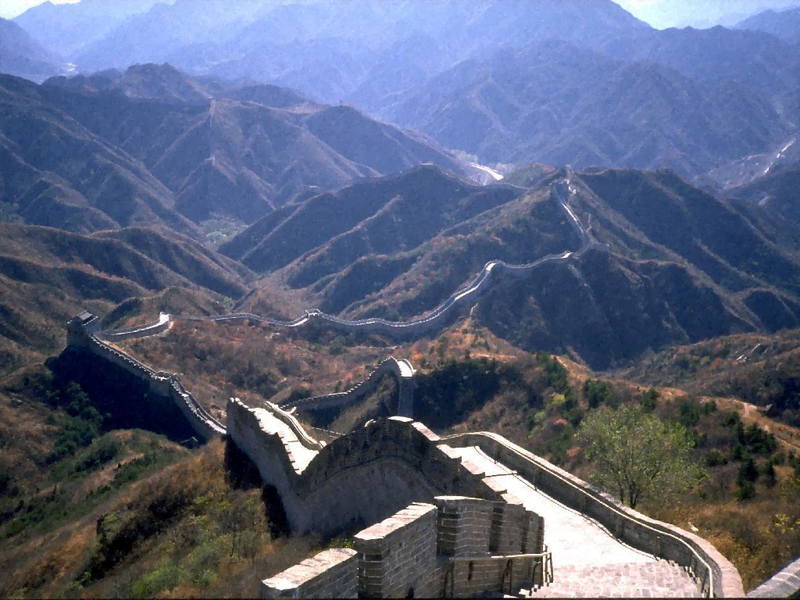 And how can we fail to mention the Great Wall of China? 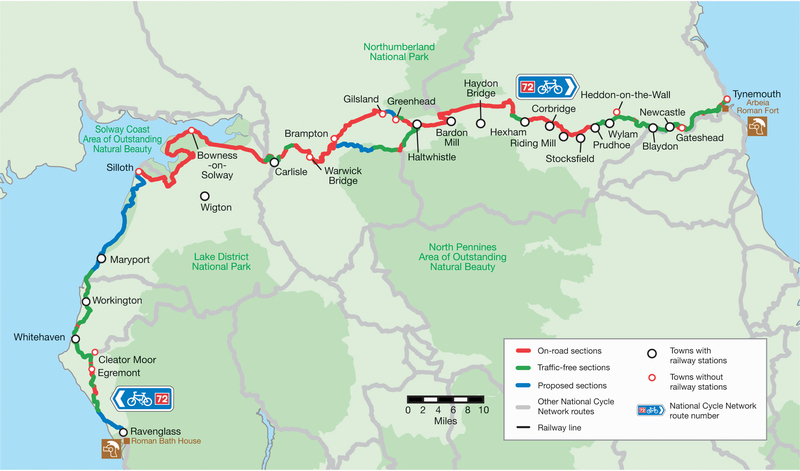 For us, Hadrian’s Wall might do, with its stretch of stonework across the entire width of England (73 miles, 117.5 kilometres). It even has the requisite main gate, which will be defended by Faramir. 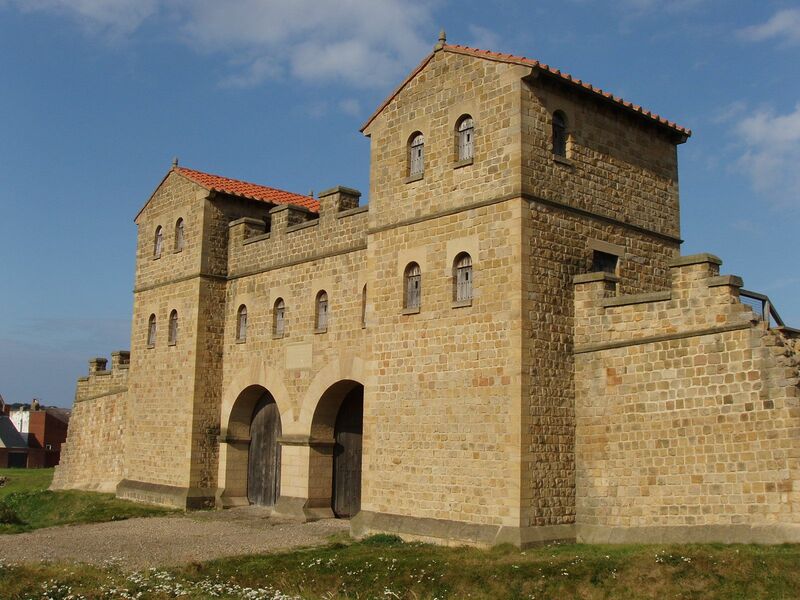 This is actually from the Roman fort of Arbeia, South Shields—a great site—but it gives you an idea of what something a little grander—after all, it connected the Pelennor with Osgiliath—might look like. In the film, it is quite a different matter. There is no Rammas Echor and Faramir, in contrast, is badly wounded in a cavalry charge against the walls of Osgiliath while his father, Denethor, has a rather messy and all-too-symbolic lunch. What has happened here? First, no intelligent—maybe even foolish—commander would attack a stone wall with cavalry, and we know that Faramir is, indeed, intelligent. Second, what has happened to the Rammas, where Faramir actually had been just before he fell, commanding the rearguard? ‘That depends upon the manner of your return,’ said Denethor. Thus, we see Faramir’s wounding completely changed, but what about the wall he had been defending? When one reads through the various chat sights, there was once a considerable amount of discussion about the Rammas Echor, but all was speculation, it seems, as we were unable to find anything said by the writers themselves. 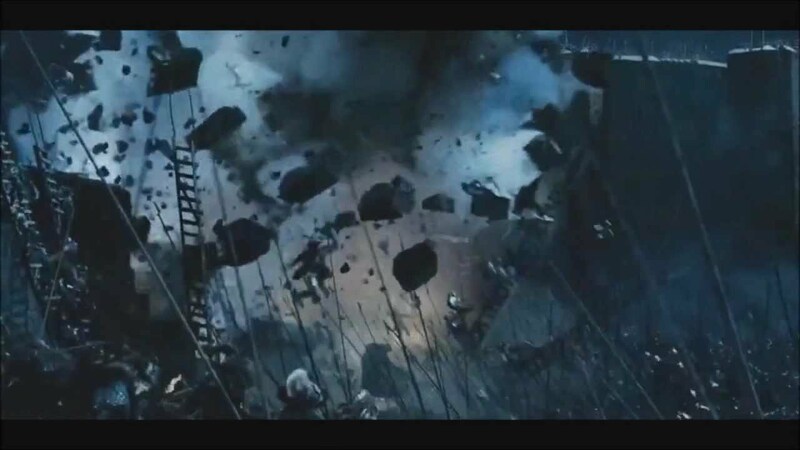 In the text, instead of concentrating on the main gate, Sauron’s engineers detonate explosions to each side and the troops then pour through the breaches to take the defenders in flank. This could be seen as a repetition of a similar earlier event at Helm’s Deep, in which Saruman’s forces blew a hole in the defenses. 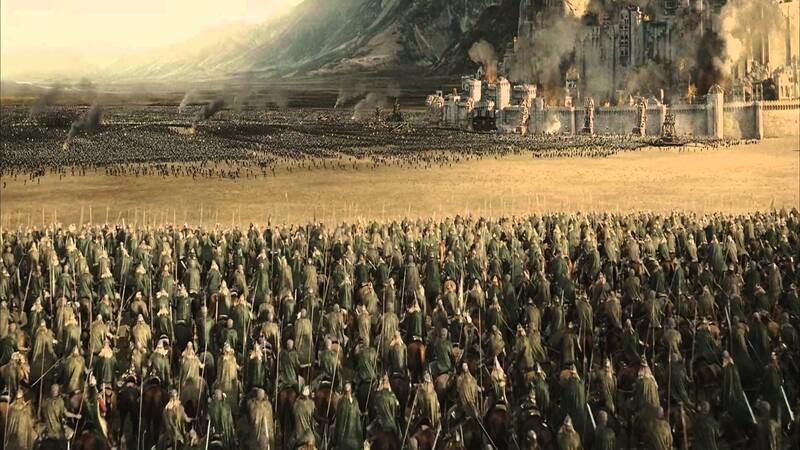 As well, we think that, for the director, the big visual attraction was the attack on Minas Tirith. This means that it could simply have been a matter of where to spend time—and/or possibly money—and so the Rammas was sacrificed. If the decision had already been made to change—we will say misinterpret– the story of Faramir, simplifying it drastically and shifting the focus (just think of that dripping mouth! ), then the choice to discard this defense would have been an easy one. So, suppose you were script writer or director, what would you have done, dear readers? Thanks, as always, for reading (and, we hope, speculating).